Did you know, there’s more to expiry dates than what we know? If you’ve been one of those who’s taken that ominous date on your food packaging as gospel truth, it’s time we opened your eyes. First off, expiration dates are set by manufacturers, and not the government, as everyone is made to believe. Also, they’re not as much about the safety, as much as they are about the quality of the product. So essentially, if you notice the expiry date on the milk carton you just took a sip from, post its expiration, it might just be totally okay for you to not spit it right out. At least if it’s been kept in the refrigerator, or in a sealed condition. There is also a huge difference in the labels ‘Best Before’ (which signifies the best quality of the product), ‘Use By’ (the more urgent label, which starts numbering the days of its safe usage), ‘Expiry Date’ (which, again, signifies the quality of food, or the effectiveness of medicine). Essentially, you can stretch the generic expiration dates by a few days, or in some cases even months, without fearing the worst. 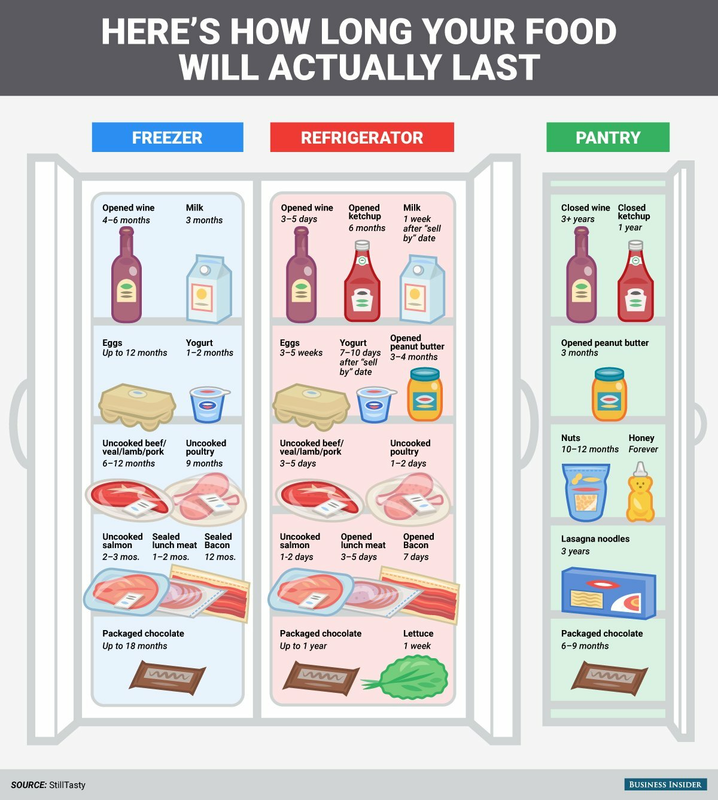 Here’s a diagram that is an easy guide to the basic shelf life of popular food and grocery. Still not convinced? Here’s a video that can help you understand what expiration dates really signify, and how we can prevent food wastage, and our gag reflexes from acting up the next time we spot an antique package in food-speak.